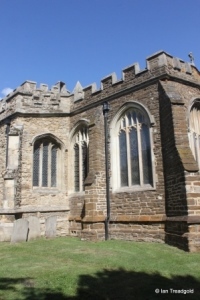 The parish church of St Mary in Marston Moretaine is a fine example of a medieval church with many unique features. 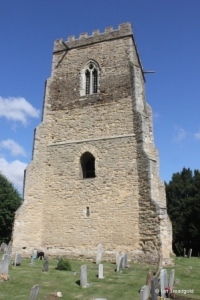 Whilst not unique, a major feature is the freestanding tower (Elstow is the only other similar church in Bedfordshire). 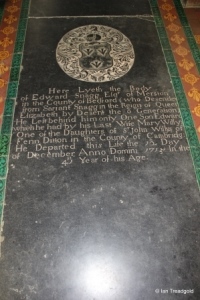 There is some discussion as to the spelling of the name of the village with Marston Moreteyne being common with locals, I apologise if the spelling I have used is not that preferred by some. 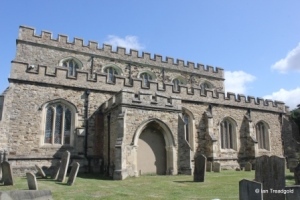 The church is situated towards the south of the main village with parking available outside the church gates. The church consists of a nave and chancel with north and south aisles and porches with a vestry to the north of the chancel. The tower is some 70 feet from the church and not built on the same alignment. 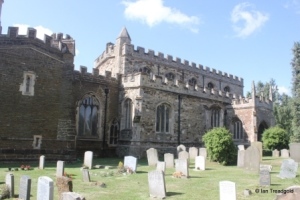 The churchyard is extensive and well maintained. The chancel is around 42 feet long by 24 with the nave and aisles adding around 68 feet by 46 feet. The tower is around 28 feet square and nearly 70 feet high. 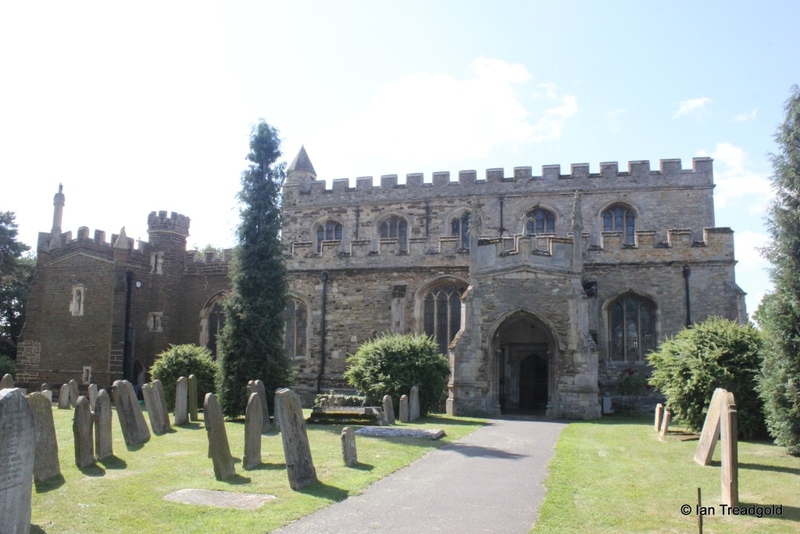 The origins of the church predate the current building which dates primarily from C14 and C15. 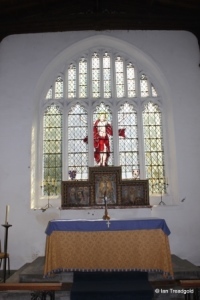 The chancel, vestry and tower date from around 1340 with the bulk of the rest of the church being rebuilt in C15 by Thomas Reynes, Lord of the Manor Largely unaltered throughout its life, restoration, renovation and repair in C19 were necessary although much of the fabric remains true to its original form. The south aisle has four windows to the south side, three to the east of the porch and one to the west. There is also an east window to the aisle. The east window of the south aisle is of three cinquefoiled lights under a four-centred arch. 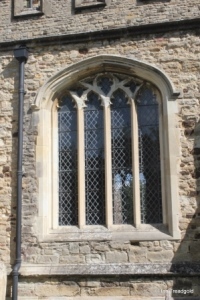 This window is the east window of the Reynes Chapel. 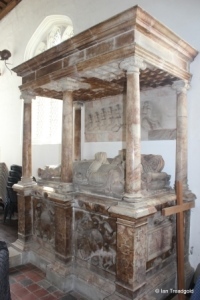 The altar tomb commemorates Sir John Reynes who died around 1500. There is a piscina on the south side of the chapel. 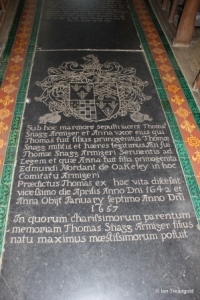 The chapel also holds the ornate tomb monument to Thomas Snagge, Serjeant at Law, Speaker of the House of Commons under Elizabeth I who died in 1593. 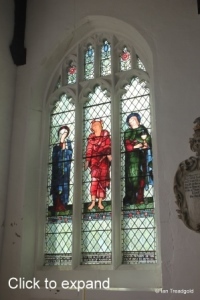 Of the south facing windows, the two eastern and the western window are all similar, being of three cinquefoiled lights under four-centred heads. 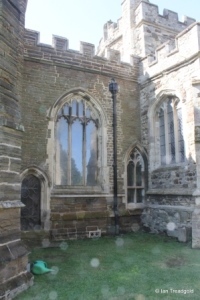 The window to the east of the south porch is a grander affair with four cinquefoiled lights with tracery above with quatrefoil designs under a four centred head. 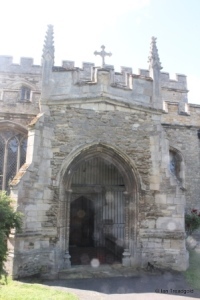 The south porch is now blocked externally but may well have been the original entrance as the older part of the village lay to the south. The church is embattled throughout with the clerestory having five three light windows on each side. The west end of the building is dominated by the imposing west window. 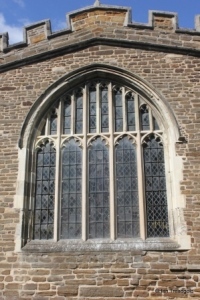 The restored window is of five cinquefoiled lights under a four-centred arch with perpendicular tracery above. 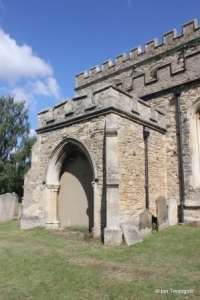 The blocked west door below is showing its age but it has quatrefoil designs in the spandrels surrounding a pointed four-centred arch. The north aisle has a west window of two cinquefoiled lights under a four-centred arch. The aisle has three windows to the north and one to the east. 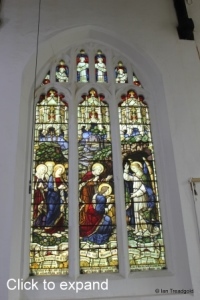 The western, eastern and the east window are similar to those on the south side being of three cinquefoiled lights under four-centred heads. The north porch was added after the aisle probably to reflect the evolution of the village to the north of the church. 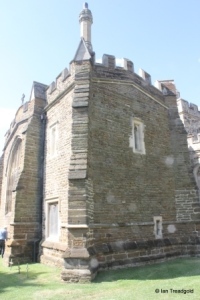 The parapet above the porch also appears to have been added at a later time and is of a different style to the porch. The parapet has two crocketed pinnacles in its corners. The richly moulded doorway itself is under a pointed arch with quatrefoil designs in the spandrels below the square head. 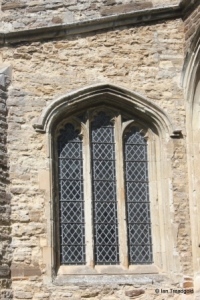 The east window of the porch has three cinquefoiled lights although the central light is truncated to admit some perpendicular tracery above. 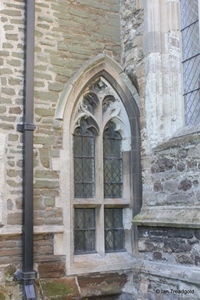 The window to the east of the porch matches its counterpart on the south being of four cinquefoiled lights with tracery above under a four-centred head. 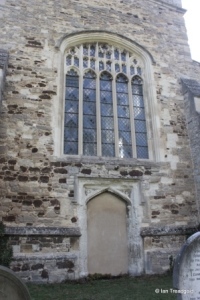 The north side of the chancel has two windows and a north door. 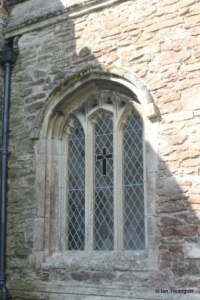 The low western window is of two trefoiled lights with leaf stem tracery under a pointed arch. 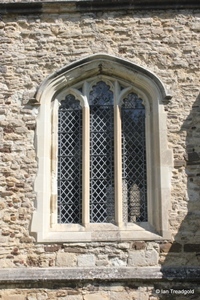 The window also has a transom possibly allowing the bottom portions to be used as leper windows into the chancel. It is tight against the north aisle as a result of the rebuilding of the nave and aisles after the chancel. The main north window to the chancel is of three cinquefoiled lights with perpendicular tracery under a pointed arch. 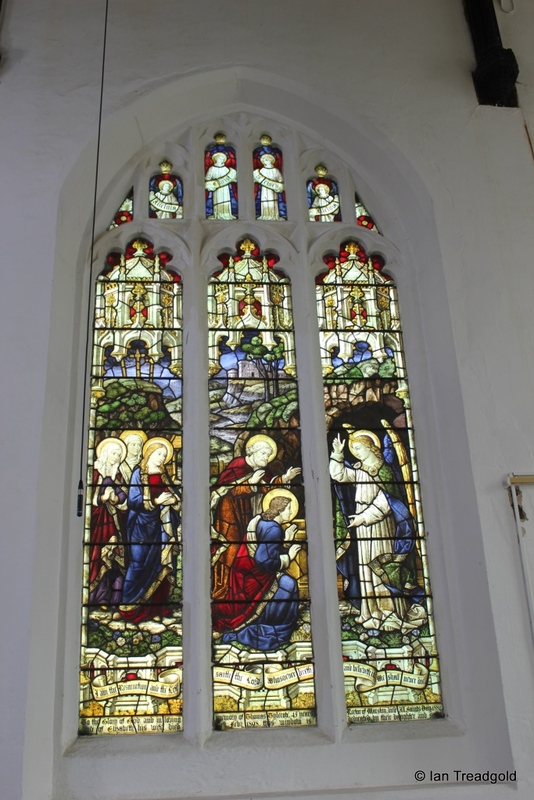 The glass in the window is dedicated to a rector of St Mary’s who died in 1882. 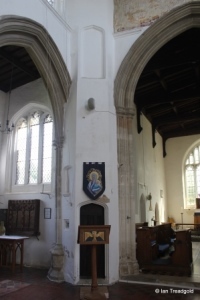 The vestry is to the north-east of the church and unusually of two stories with a stair turret in the south west corner of the vestry. 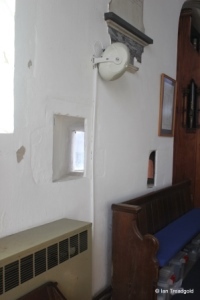 There are several single light windows on both floors of the vestry and a larger modern two light window under a square head to the east. The east window is of five cinquefoiled lights with perpendicular tracery above under a two-centred arch. 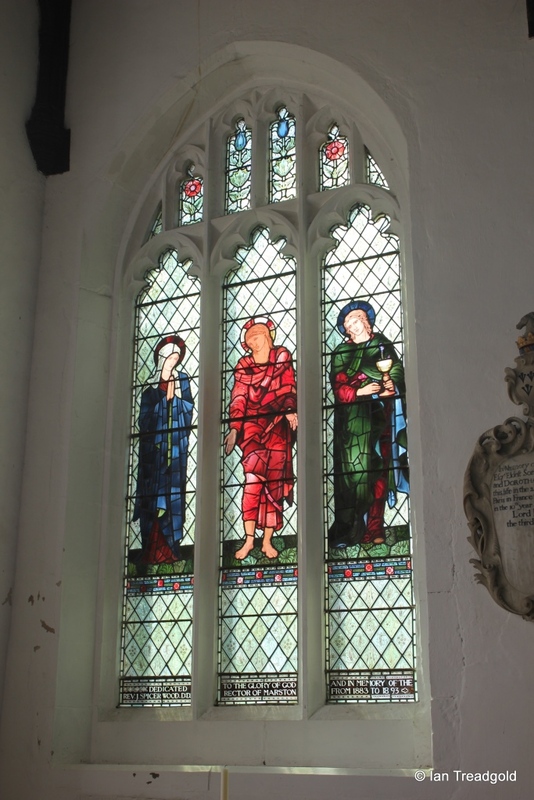 The glass in the window is dedicated to Sydney Nowell-Roston, rector between 1944 and 1948. 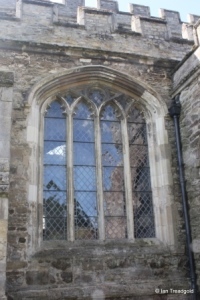 The south side of the chancel has two windows both of three cinquefoiled lights under pointed arches with perpendicular tracery above. The eastern has glass dedicated to J Spicer Wood, rector between 1883 and 1893. 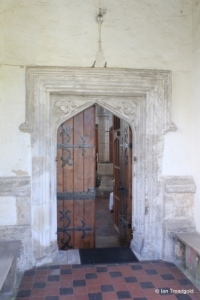 The presence of the original rood gallery is identified by the lower doorway and the blocked doorway above. The stairway continued to an octagonal stair turret on the roof. 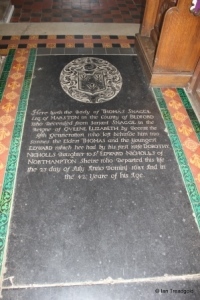 The Snagg family are remembered not only by the family monument in the Reynes Chapel but also by brasses in the floor of the chancel. 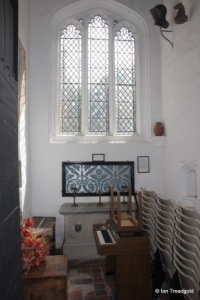 There are squints leading from the chancel to the Reynes Chapel. 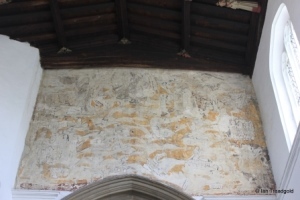 The remains of the painting over the chancel arch are one of the best preserved ‘doom’ paintings in the county. Concealed until the 1960’s, the painting shows the Last Judgement and the return of Christ. 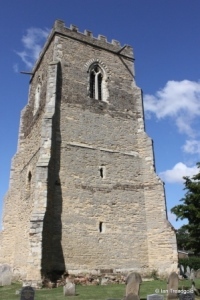 The free-standing tower is an impressive building in its own right with diagonal buttresses and a stair within the thickness of the wall in the north-west angle. 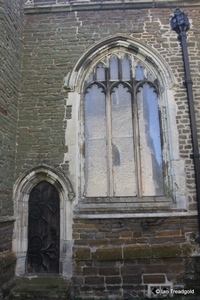 There small windows on all sides with the main belfry openings being of two light opening under pointed arches with quatrefoil designs in the tracery. There is a curious opening on the south side of the tower, possibly reached originally by an outside stair. The only ground level entrance is on the west side. 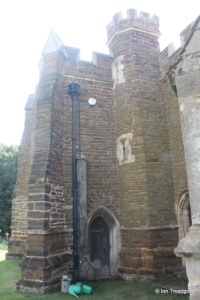 The stories as to why the tower is separate are the subject of much local folklore. Various theories relate to the devil attempting to steal the tower and failing under its weight. More likely it was built as a watchtower to protect the village inhabitants in times of conflict. The truth will probably never be known although its offset alignment is certainly intriguing.